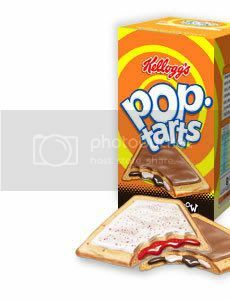 What the hell happened to poptarts?! yesterday, I had a sudden craving for some chocolate flavoured poptarts! so, I eagerly made my way to my local supermarket to purchase a box. i can't believe it! i know i haven't had a poptart for years, but they can't have stopped selling them completely?! when i was a kid they used to do loads of flavours... chocolate, strawberry, marshmallow, etc, etc... I LOVED THEM! so yeah, i'm super upset that i couldn't buy any yesterday, so if anyone in the uk is reading this and knows where i can buy some poptarts, then leave me a comment plz!